VapoWire (by Temco) is an American made Kanthal A-1 resistance wire used to rebuild most any RBA or RDA known to exist. This box comes with 30 feet of premium VapoWire Kanthal A-1 wire in your size and shape of choice. VapoWire (by Temco) is an American made Kanthal A-1 resistance wire used to rebuild most any RBA or RDA known to exist. 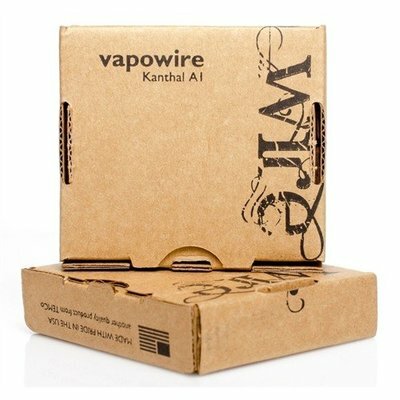 This box comes with 30 feet of premium VapoWire Kanthal A-1 wire in your size and shape of choice.